The transition that is currently taking place in the telecommunications industry hasn’t happened before. For the first time, an all-new network is being built to replace the network that was there before – fiber instead of copper. It’s a complicated job and a very expensive one. Some private companies have begun this transition on their own, while others are having a hard time justifying the expense, especially in rural areas. Rather than be left behind, some rural communities like Islesboro in Maine and Leverett and Mount Washington, Massachusetts, are banding together and taking matters into their own hands. It’s a big job, and if your town is considering doing the same, you’ll probably want to first look for a partner who is willing to build a network for you and bear most of the cost. Lucky towns will find such partners. If your community does decide that it needs to build and operate its own network, you have a big job ahead of you. It will be important to break the job into manageable chunks, and get the right help from trusted partners to successfully serve your community. Throughout this process, you’ll be tempted to take shortcuts or hand the reigns over to someone else who says they can do it all and save you the trouble. In the long term, the best result will probably come when those leading the broadband effort in your community are more involved and have more control over the process. Broadband Committee. 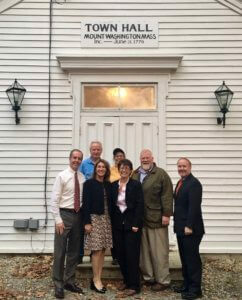 This is a local group of interested citizens who oversee the community broadband effort. These dedicated individuals will interview potential providers, apply for grant funds, and administer RFP’s to choose the various contractors involved in building and operating the network and serving customers. Members of this committee may also be chosen to head a governing board, such as the MLP board in Leverett and similar Massachusetts towns. Design-Build Contractor. Sometimes the design and build functions are separate, but often the same firm that does your network design will have the trucks and personnel to build the network. You may also want an independent Owner’s Project Manager to keep the design-build firm on task. Network Operator. A network operator monitors and maintains the electronics on your broadband network. When things aren’t working right, they troubleshoot problems and dispatch technicians when necessary, either from their own crews or third party contractors. Internet Service Provider / Telephone Service Provider. 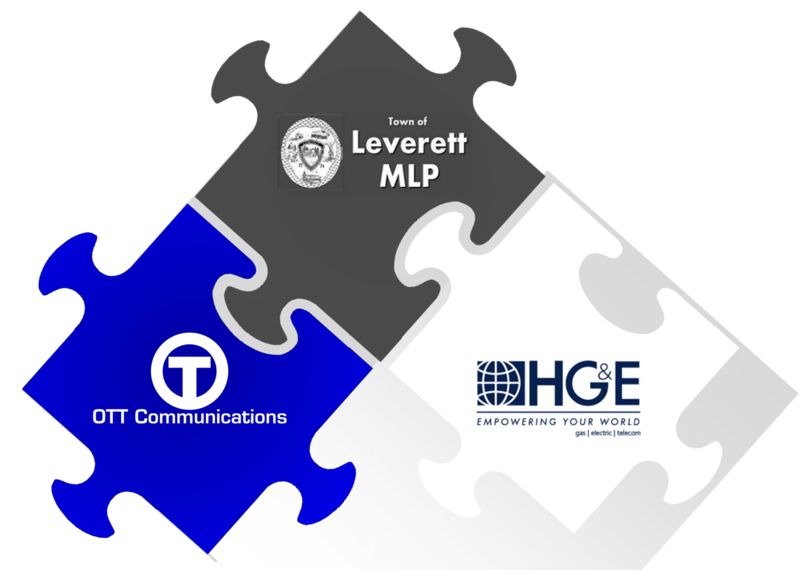 On many municipal networks, like the one in Leverett, Massachusetts, a single Internet service provider is awarded a contract to provide service for 3-5 years. The ISP provides the Internet and phone connections over the community’s network, along with ancillary services like email. In addition, the ISP provides end-user technical support and customer service, as well as billing and collecting end-users and remitting the communities portion of the fees to the town. Having a separate builder, operator, and ISP may seem like a lot of extra work, but you may want to consider the added effort in the best interest of your community. Just like you will want to connect your town to the Internet with diverse middle-mile connections in order to ensure reliability, having some diversity in your service providers gives you added flexibility and security over the long run. For example, having a Network Operator that is independent from your design-build contractor provides a level of experienced, third-party oversight to protect the quality of the network being built. The eventual operator has not only the expertise, but also a vested interest in ensuring that the network is well designed and built. Alternately, having different entities perform the Network Operator and ISP functions on your community network will facilitate smoother transitions should you decide you need to make a change in either the network operator or the ISP. In such situations, you have a trusted partner with their own records, systems, and expertise to help support the transition. Things might not go so well if you only have one partner and they’re less than cooperative because they’re losing your business. Case in point: we were able to effect a seamless transition from the prior ISP in Leverett, MA, thanks in part to the support of Holyoke Gas and Electric, the network operator in Leverett. Need Help Planning Your Community Network Initiative? We’d love to help. If you’re thinking of applying for grants from the ConnectME Authority, the Massacutsetts Broadband Institute, or another state or Federal agency to assist in planning a broadband project, let us know! We also encourage you to download our free Municipal Broadband Primer.